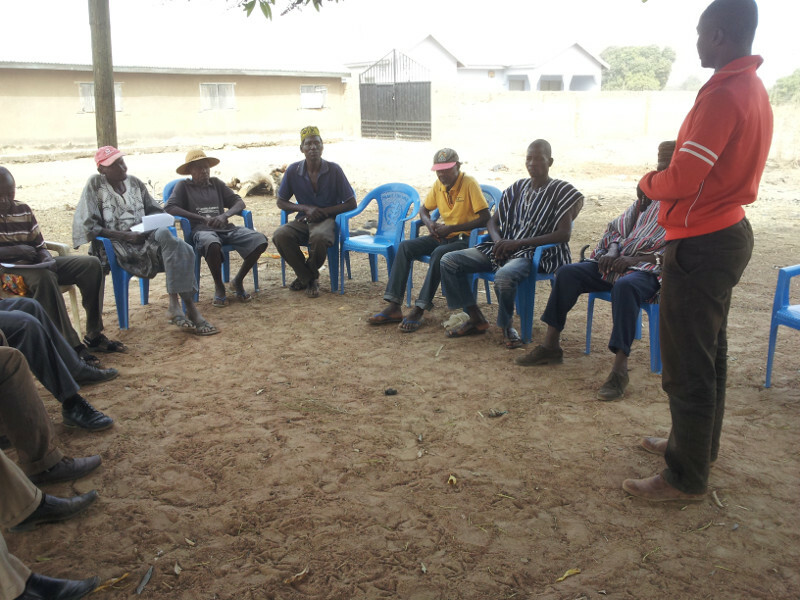 A large mapping project in areas with mining prospects was recently undertaken in Ghana by Abdul–Wadood Moomen, a PhD candidate at Curtin University. The work was supported by the Crawford Fund and follows on from our interest in mining and agriculture related to our special conference on the topic in 2013. We are currently working on the development of a report on mining and agriculture as well as a brief on the topic as part of our “Wider Canvas” series. The project, titled Development of Multi-Objective Spatial Suitability Model: Mining Regions in Focus is expected to develop a reliable geospatial database of the region. 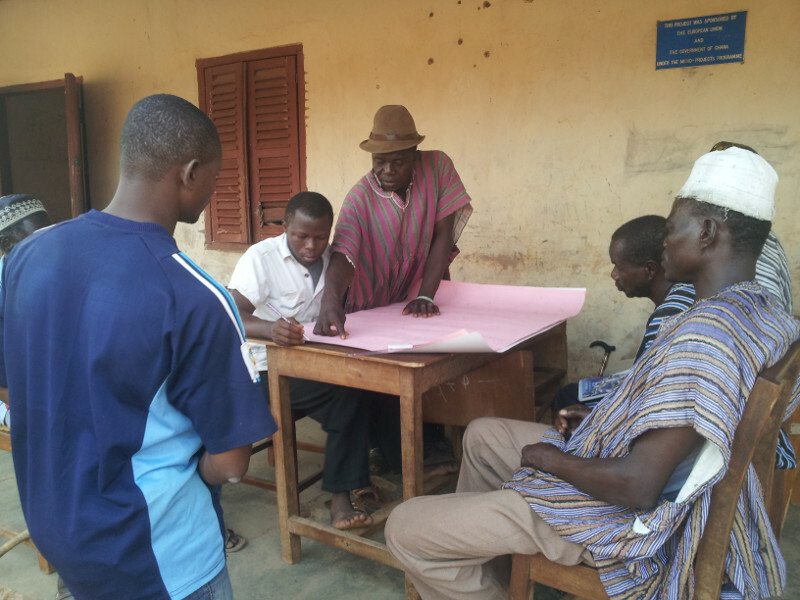 The information collected has the potential to enhance collaborative land use planning among stakeholders using participatory rural appraisal tools and data analysis. 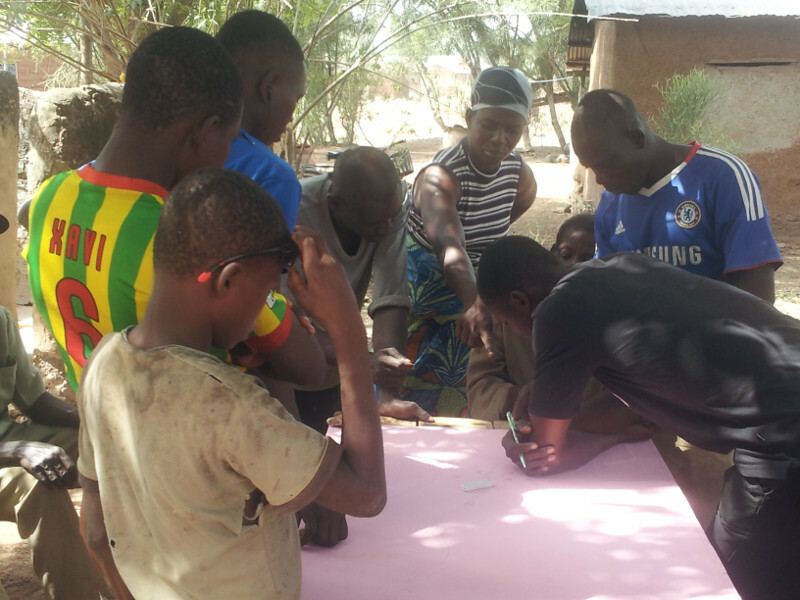 The fieldwork activities included seeking permission for access to the communities, conducting a resource inventory via participatory mapping and transect walks, and data validation by the local community groups – which are an effective form of empowerment of local stakeholders. The activities and the approach helped local stakeholders to intuitively identify which areas of their landscape are affected by exploration and mine concessions both at present and in the future. This is an effective mechanism for identifying land use conflicts with mining in the region, both existing and potential. It also sets the motion for future rural land use planning that considers opportunities for both agriculture and mining. 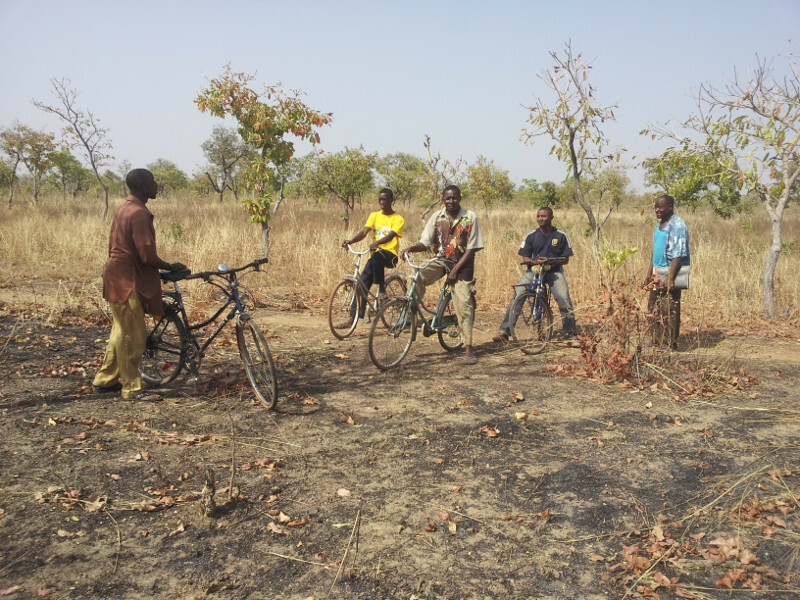 The photos show some of the activities undertaken during field work. The study area is ecologically fragile, with low and unpredictable rainfall patterns, low soil fertility and poor vegetative cover. Yet, agriculture is the main source of livelihood. Average farm size in this area is 2 ha. 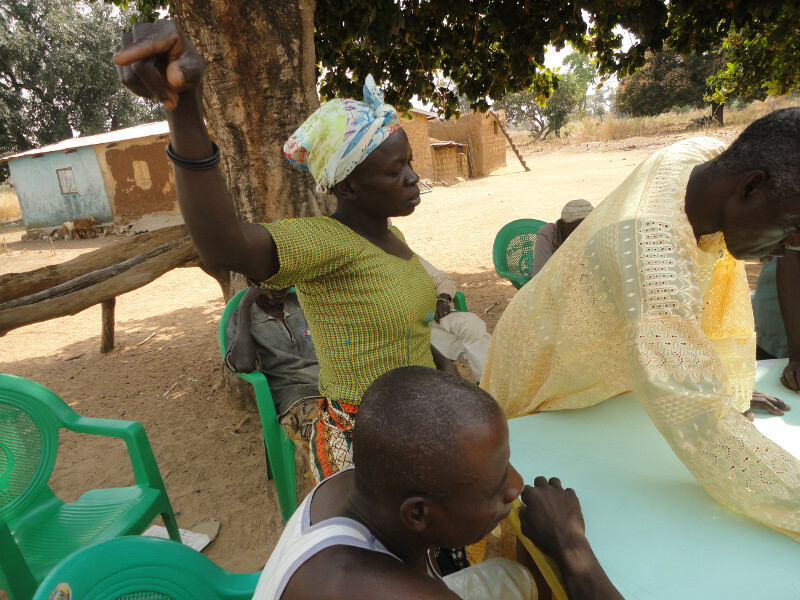 A reduction in agricultural land could result in lowered incomes and make the community’s livelihoods vulnerable. “During the consultations, communities expressed serious concerns about livelihood alternatives and the prospects of integrated mining and agriculture systems on their vast and underutilized landscape,” Moomen said. Thus, the broader research question has been asked once again if people can undertake mining activities while at the same time sustaining high food production levels?